I’ve been on the serious side for the last few episodes, but this time it’s going to just be a late night, late winter jam called “Bar Tryst, Late Winter.” I wrote the words to this one—at least I think I did. Do you know the story of how the song “Me and My Uncle” came to be? It’s a great cowboy song, recorded and sung by many people, including The Grateful Dead. Sometime in 1964 or so a songwriter named John Phillips who had toured to no great acclaim during the American Hootenanny pop-folk era in the early Sixties got a royalty check for writing this song. 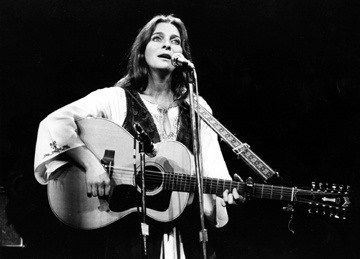 Seems Judy Collins has recorded it on a live album, and his first thought was to set the record straight. He got in touch with Judy Collins and told her that the writing credit must have been a mistake, that he didn’t know anything about any such song. Collins then proceeded to tell the surprised Phillips that both of them had both been at an after-concert party in 1963 where a heady mix of intoxicants were present. During this night she had heard him compose this song on the spot. Luckily someone had run a tape recorder during the party, and from that tape she had learned the song. Such a good song-finder, she could find songs the songwriter didn’t know about! Well, Judy Collins was not involved in my story, but it’s more or less the same. Sometime early this century I was looking through some old notebooks from the 1970s where I had written some things, and there on a page in my handwriting was this piece. Not only had I had no recollection of writing it, I had no recollection of any night quite like it describes. It’s possible I imagined the scene, using elements of things I had experienced, It’s even possible that I didn’t write it, but why would I transcribe something of that length in the midst of other things I was writing? Shortly after rediscovering it, I recorded this live take with the LYL Band and a drum machine. The guitarist I was playing with at that time was Andy Schultz who pulled out a lot of improvement in my playing as we wove lines between the two of us. Like the composition of the words used here, I can’t always tell when I listen to recordings from this time which of us played which guitar line back then. To hear the LYL Band perform “Bar Tryst, Late Winter,” use the player gadget below.